Home » Baseball » At Pitcher for the Yankees…. At Pitcher for the Yankees…. The Yankees have a lot of questions surrounding their pitching rotation, many might be unsolvable. They still do not have a fourth or fifth starter as they start heading north for the regular season. The way the scheduling gods have worked out the Yankees’ schedule, they will not need a fifth starter until the middle of April. With that being said, they still have a lot of pitching holes, below is a preview of some of the players that can play a big role in their rotation. The Yankees are not expecting a parade at the canyon of heroes at the end of this year, instead this year is going to be used to evaluate who will be part of the future pursuits of championships. The rotation will be focused on seeing if Masahiro Tanaka is still as good as he was when he entered the MLB, and seeing where young arms like Severino, Montgomery, and Kaprielian will stand in the future rotations in the next few seasons. Below is a projected rotation for the Bronx Bombers, obviously this will change throughout the year dependent on how the Yankees’ record. 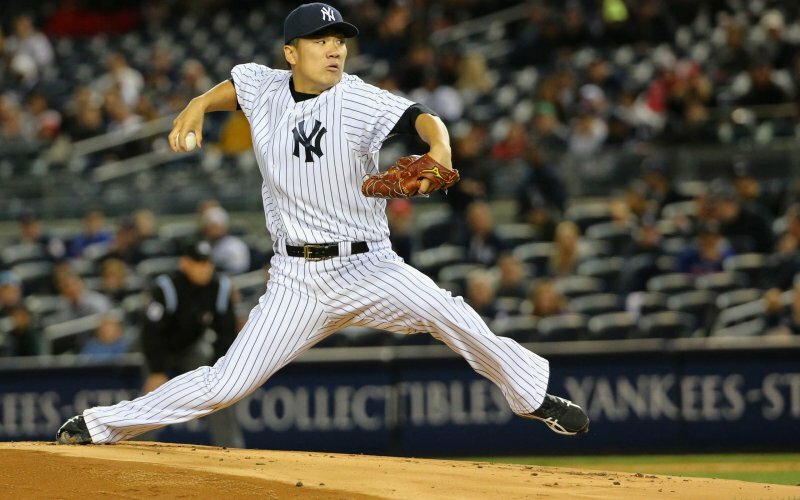 Tanaka has looked great this spring, and he looks like the clear ace of the staff. Tanaka is going to need to have a near Cy Young year if the Yankees want to be a playoff contender this year. Tanaka has a contract option at the end of the season, and if he has a really good season, he can make a lot of money for himself. He will have added motivation to perform this year, I think he will have a really good season. The key for him is to stay healthy throughout the season and act as the leader and the ace of the Yankees staff. Pineda most likely would be a fifth starter on any contending team, but here we are, he is the second starter for the Yankees. Pineda is one of the greatest enigmas in sport because he has the talent, but simply has not performed based on how should. I do not expect him to have a very good season, and any production from him will be good production. Pineda might move around the rotation based on how the young arms are performing. CC had a great first half last season, before coming back to earth. CC needs to be a GREAT 3rd starter if the Yankees want to come even close to making the playoffs. He is in the last year of his contract and needs to prove to everyone that he still can play in the majors after this season. Look for him to have a good season, because if he has a poor season he might not play in the majors again. We do not who the fourth starter is going to be yet, with the moves that the Yankees are making, it looks like Severino is the best guess to be the fourth starter. Severino is a much better bullpen guy then a starter but due to team needs he will be forced to play in the fourth start. Expecting anything from the fourth starter is simply not ideal, but hopefully he can have a sub 5 ERA and get double digit wins. Montgo has looked like the best pitcher in this bunch, hopefully he will get some starts in the majors this year. Cessa and Green will be starting in the minors but have a good chance to crack the rotation at some point in the not too distant future. The Yankees have one good starter and a bunch of either young or veteran pitchers, hopefully they can put together a good season together, otherwise it is going to be a long summer in Yankeeland. UPDATE: The Yankees have decided not to name a fifth starter just yet. With their schedule being a little clunky, they will not need a fifth starter until the middle of April. Things are not great in the rotation, and it does not look like it will be changing anytime soon.